Description: This penultimate gathering of the year will be at the Shiambelos Restaurant, Limassol, and will once again see us taking lunch after the Annual General Meeting. 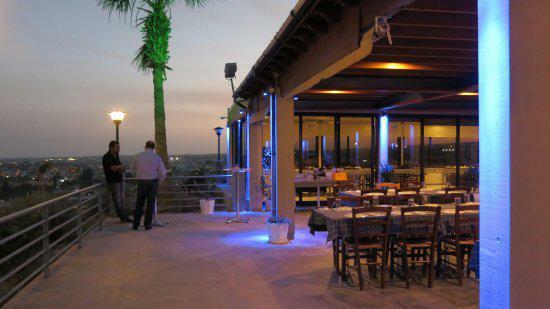 Many of you will be familiar with Shiambelos with its wonderful views, great service and good food. Lunch will again comprise a grill meze with salad, fruit and coffee for €16.50 – the same price as last year. It remains excellent value since it includes the pre-AGM coffees too. Coffee will be available from 1030 and the AGM will start promptly at 1100. Lunch has been requested for 1300. A platter containing cannelloni, potato and spinach balls and halloumi rolls. The Cut-Off for reservations is Noon on Friday 3 November 2017. Parking: There is ample parking outside the taverna. 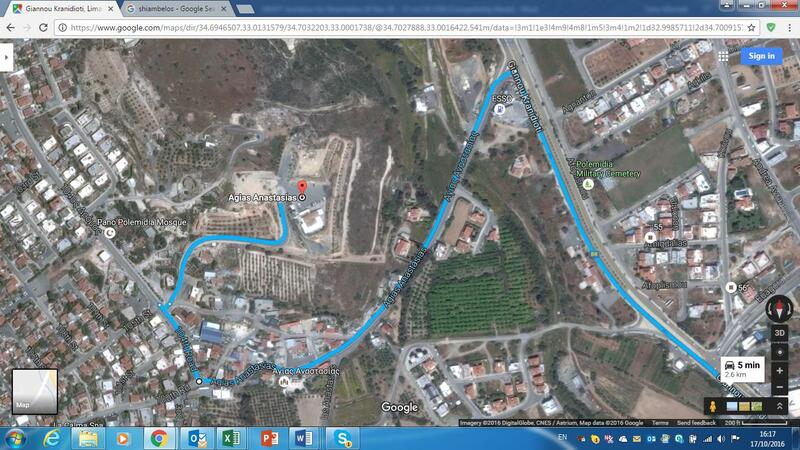 Access: There is level access from the car park and into the taverna. 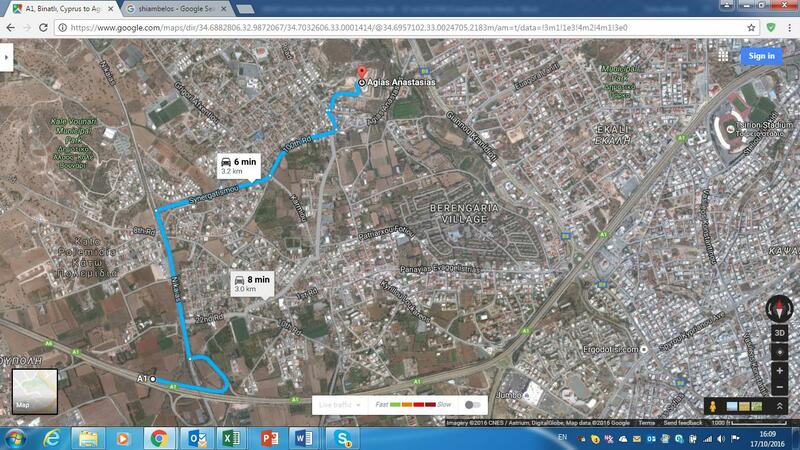 Take the B6 road northwards towards Troodos. Note the trip when leaving the highway roundabout. 1.5 km after leaving the highway roundabout, turn left immediately after the Esso garage. 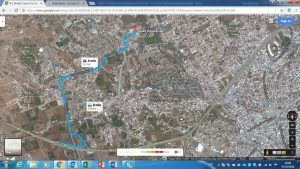 After 700 metres, at a staggered crossroads opposite a kiosk, turn right onto 104th Road (104 ΔΡΟΜΟΣ) for about 100 metres whereupon you will see a signpost directing you right towards Shiambelos. The car park is at the summit of the climb. Drivers approaching from the west can either continue along the highway and take the B6 towards Troodos as per the Limassol drivers, or else turn off the highway at the Port junction (J29) and then at the T junction turn right (northwards) for some 700 metres along Nikaias street until they reach a right turn some 150 metres beyond the open-air market on the left. Turn right and then cross straight over the traffic light junction and then take care at the staggered junction 400 metres later at which you turn left onto 104th Road (104 ΔΡΟΜΟΣ) opposite a kiosk. Follow this road for about 100 metres whereupon you will see a signpost directing you right towards Shiambelos. The car park is at the summit of the climb.